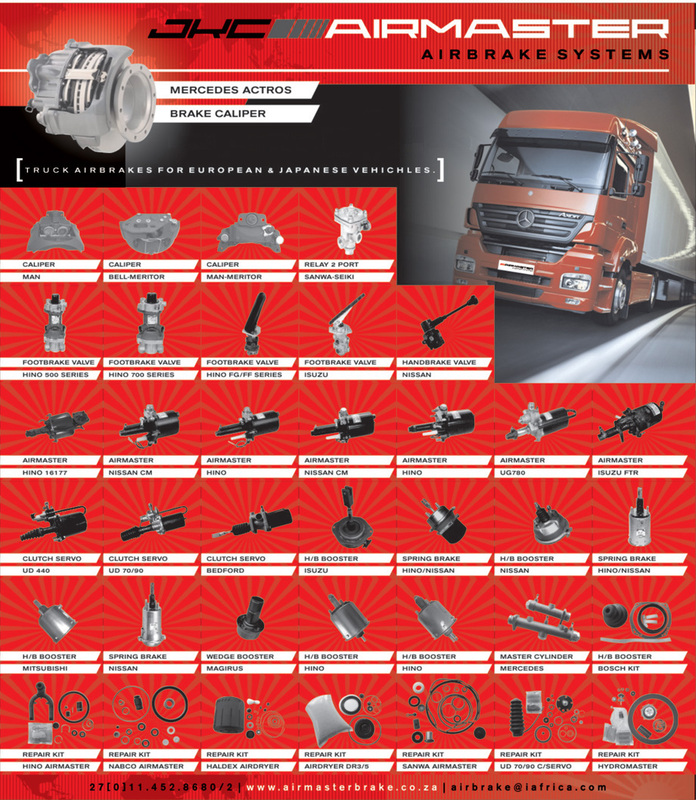 Airmaster Brake Systems is one of South Africa's largest suppliers of brake system components for heavy duty trucks, buses and trailers covering most vehicle and component manufacturers and their related aftermarkets. Bendix (Knorr), Berg, Bosch (Knorr), Clayton-Dewandre, Diesel Kiki, FTE / FAG, Girling, Grau-Bremse, Haldex, Holset (Cummins), Jidoshu Kiki, Knorr-Bremse, Kongsberg, Magneti Marelli, Midland, Nabco, Paul Dahl, Sanwa Seiki, Sealco, Wabco, Wagner, Williams and Zexel. Managing member Graham Richardson and Aboobaker (Buckles) Kajee have been in the airbrake and pneumatic industry for more than two decades. We specialise in the manufacture, remanufacture and supply of pneumatic components to the braking industry. Airmaster Cape Town has moved to new exciting premises! New and reconditioned brake calipers now available. Level 2 BEE status reached. Airmaster new and reconditioned brake calipers available from our distributors and our Cape Town branch!